Travion Jones Family Still Searching for Justice. Could This Tragedy Have Been Prevented? Did negligent security contribute to the tragic loss of this young man? Months after a shooting at The SandTrap 5.0 nightclub claimed the life of 25-year-old Travion Jones, family members are still searching for justice and answers. According to WALB 10, “APD detectives believe an altercation began inside the club…and then spilled over into the parking lot where the shooting took place.” Tragically, Mr. Jones succumbed to fatal injuries. 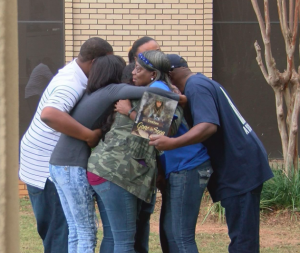 Two months later, WALB reports, the Jones family is still awaiting arrests in the case. Community leaders point to yet another party who may also hold responsibility in the tragic death of Travion Jones. City Commissioner B.J. Fletcher told Telemundo, “much of the responsibility to defuse a potentially violent situation lies with the business owner.” Ms. Fletcher urges business owners to keep properties “well lit, with plenty of security cameras and systems installed” and to call 911 at the very start of an altercation they can’t handle. Did negligent security contribute to this senseless loss of life? We represent individuals and families in Georgia who have suffered a tragic loss or injury as a consequence of negligent property security, and we have recovered tens of millions of dollars for our Clients. 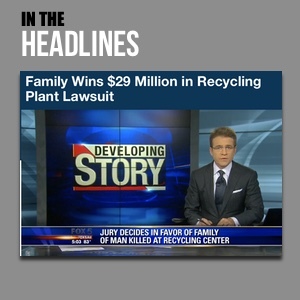 Read Our Legal Take to find out if the victim’s family may have legal avenues for justice and claims for substantial compensation in Georgia, or call now for a free consultation with out legal team: 229.389.4900. Were any efforts made by nightclub management to call police or de-escalate the initial altercation prior to an escalation to gun violence? What parking lot security measures, such as bright lighting, security patrols and surveillance cameras, were in place at the time of the shooting? By law, property owners in Georgia are required to protect all those legally on the premises from any foreseeable harm. Should the facts of this matter reveal that the business or parking lot owners failed to provide adequate security, the family of Travion Jones may seek justice and elect to pursue legal claims for his wrongful death.